*Disclosure: I was treated to a tasting at Noodles in exchange for this review. 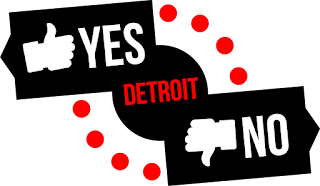 The opinions expressed here, however, are my own. 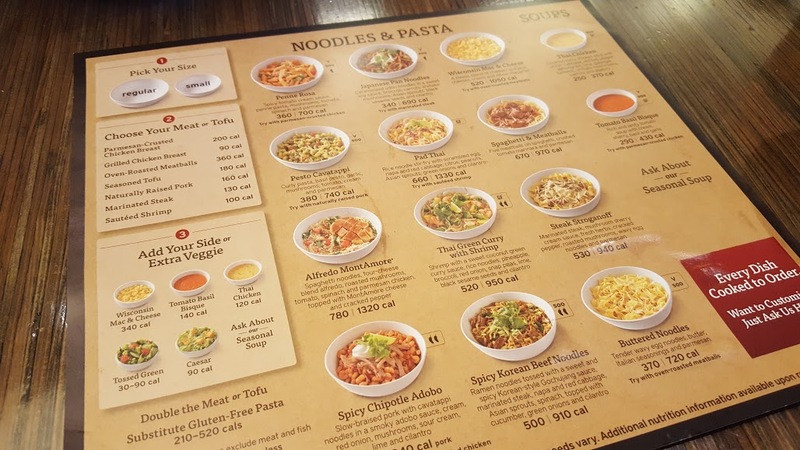 Last week, I was able to attend a tasting at the Noodles & Company located in Novi, MI, to try out their new Pasta Fresca dish. I say "new" but it's actually a returning favorite, and is going to be a permanent addition on the menu - it's one of my favorite dishes so that's good news to hear! We started off with some salads and their new Thai soup, another favorite of mine. 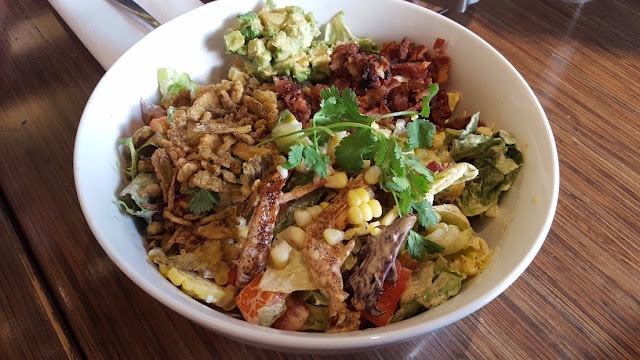 Pictured above is the Chicken Veracruz Salad, which consists of mixed greens, tomatoes, red onions, chili-lime chicken, bacon crumbles, fresh-cut corn, avocados, and cilantro, tossed with jalapeno ranch dressing and crispy jalapenos. It's a little spicy for me but I liked the chicken in it. 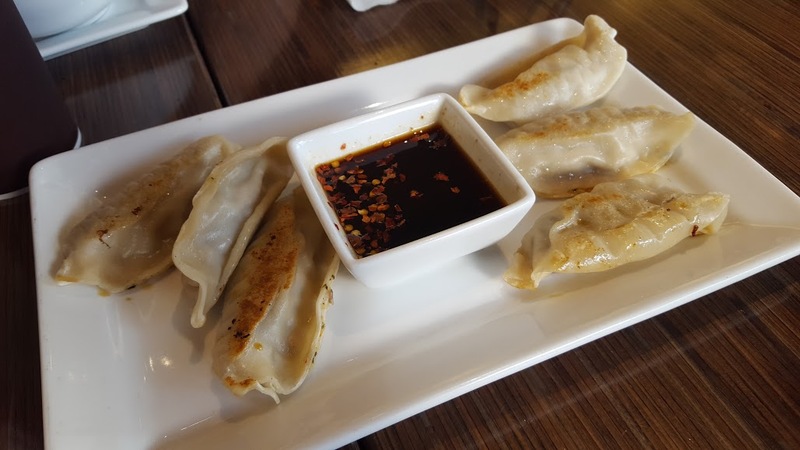 We also had some potstickers, which is my favorite appetizer to order at Noodles. The potstickers come with a mild spice soy sauce, and they're made out of chicken, rather than pork. 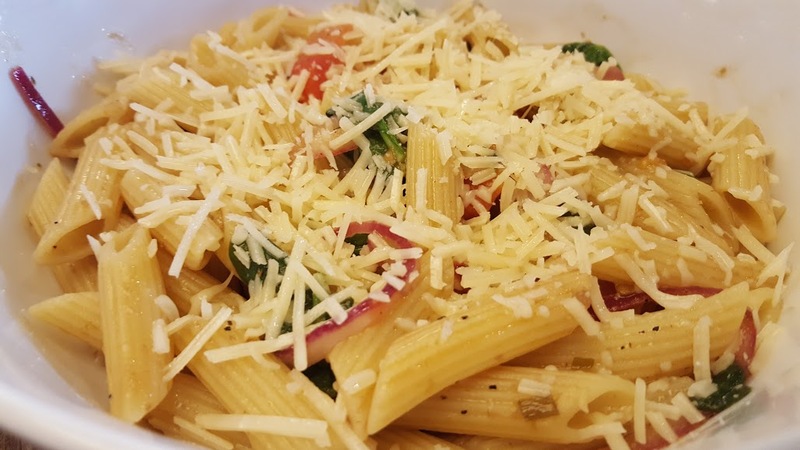 After a few other main dishes, we got to try the star of the show, the Pasta Fresca! So a long time ago (yes, I'm a Noodles addict ...) there used to be two dishes: the Pasta Fresca and the Whole Grain Tuscan Linguine. 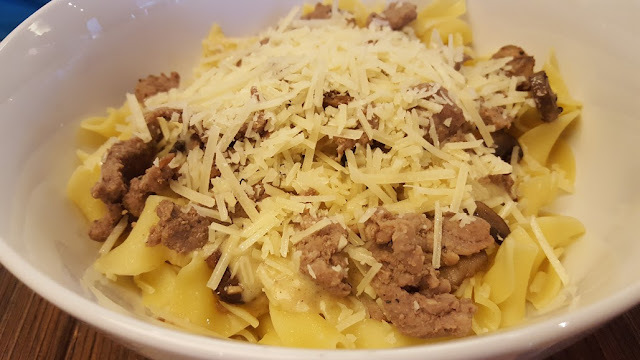 A few years ago, Noodles combined these two dishes, into the Whole Grain Tuscan Fresca. 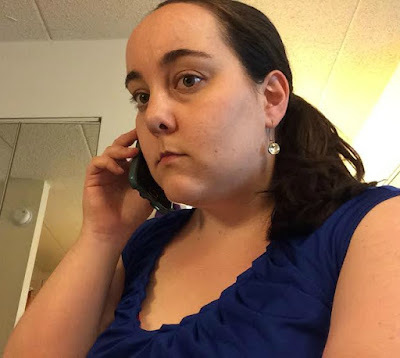 A year or so ago, the Tuscan Fresca left the menu altogether (and it was my favorite dish! So sad....), so I was glad to see Noodles bringing back the Pasta Fresca. The manager at Noodles told me a pro tip, too: if you're missing the Tuscan Fresca, just have them make the Pasta Fresca with cream in it, and sub out some of the veggies ... and voila! The Pasta Fresca consists of penne with balsamic, olive oil, and roasted garlic, red onion, tomato, spinach, and parmesan cheese. Because this was a tasting, and because Noodles always spoils us, we were able to try quite a few other dishes too. 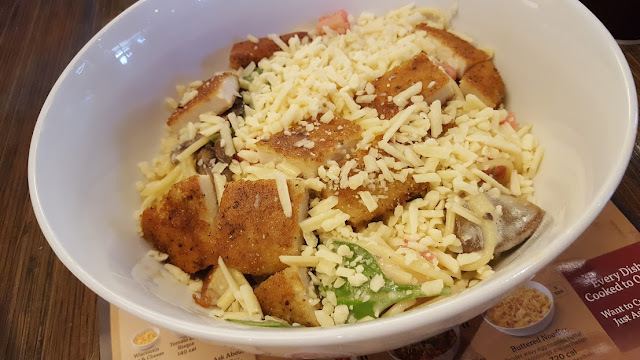 Pictured above is my second-favorite dish, the Alfredo MontAmore, which includes spaghetti, four-cheese blend alfredo, roasted mushrooms, tomato, spinach, and parmesan-crusted chicken. It's also topped with MontAmore cheese (hence the name) and cracked pepper. I mentioned in a previous Noodles review that I'm not really an alfredo sauce fan, but this has a different taste to it, which is why I like it. 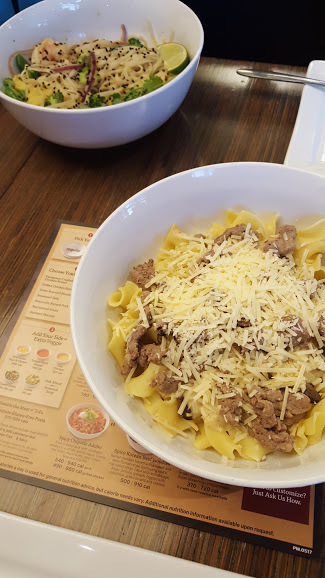 The Steak Stroganoff (pictured above) was very tasty this time, as well - although it's not usually one of my favorite dishes at Noodles, I quite enjoyed it. In the far left of this picture is the Thai Green Curry with Shrimp, which we also tried - only one of the bloggers in our group eats shrimp, actually, so she got to enjoy all of the shrimp, and the rest of us enjoyed the noodles. 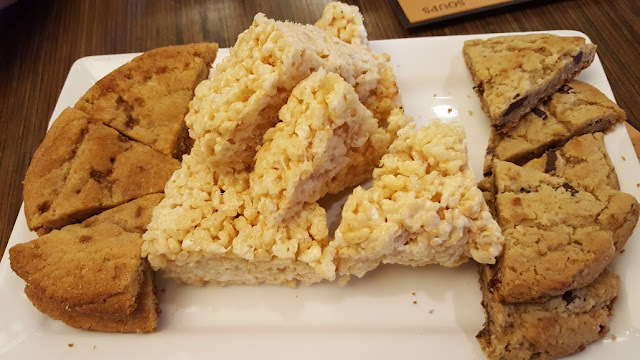 Noodles has maybe the BEST rice krispie treats I've ever had, so I highly suggest ordering that if you're in the mood for dessert - we were able to sample that, the snickerdoodle cookie (far left), and their chocolate chip cookie (far right). Thanks again to the Novi Noodles & Co. for your hospitality! Have you ever been to Noodles. & Co.? If so, what's your favorite dish to order there? Giveaway will end on July 4th. Must live within driving distance of a Noodles & Company to enter - check here to view their locations. food Liz Noodles & Co.